…these were the kind of discussions I came home to after two years of being away. So much had changed. From what I had been reading while away, Kenya was becoming a trailblazer in information and communication technologies, especially for mobile phones. 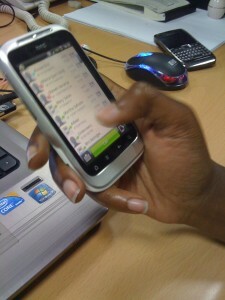 The tech community was churning out hundreds of innovative phone applications. 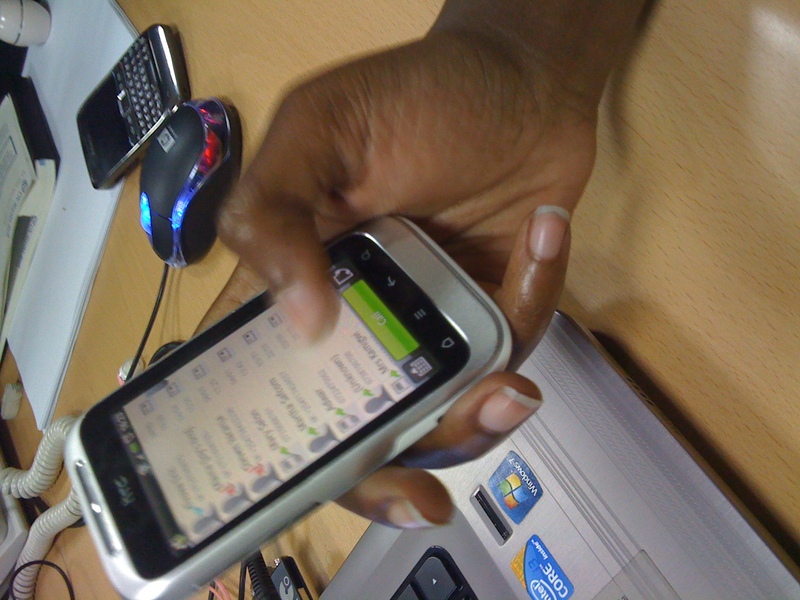 From mobile banking (Mpesa) and crowd sourcing (Ushahidi) to apps that help people track the use of public money, the prefix to use was M for mobile. I am very passionate about using technology for development, so I have been following the e-Learning Africa conference in Cotonou, Benin, which opened on May 23. As connectivity improves and more people have access to the Internet in Africa, the education sector has not been left behind. E-learning seems to have soared to new heights. The eLearning Africa Report 2012 shows that 71 percent of people surveyed are now using ICT-enhanced learning in their classrooms, and 48 percent use mobile phones for education. I was a teacher of German and Special Education in 2009 at a fairly privileged school in uptown Nairobi. 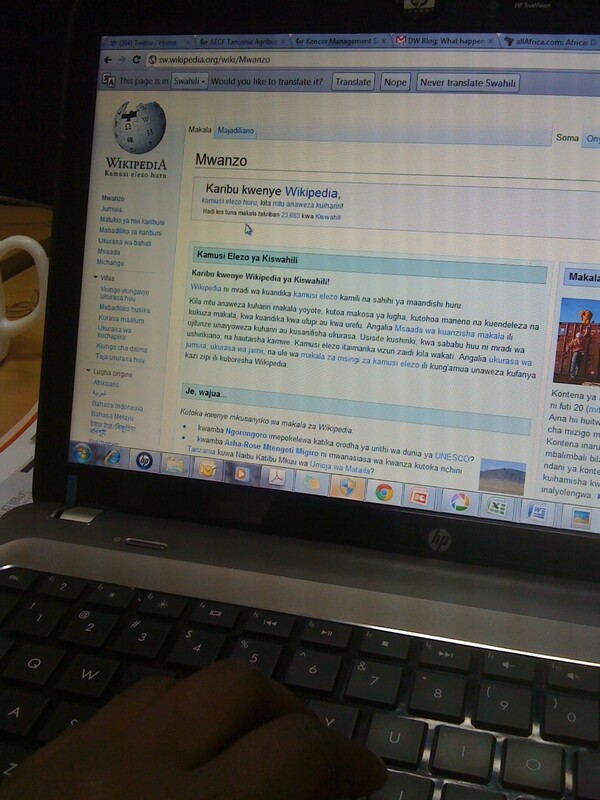 The use of IT for both the learners and the teachers was quite enhanced. As a teacher of language, I had to find creative ways of incorporating IT into learning. This could be in the form of multimedia – videos, audio and pictures to enrich the learning environment. I also learned how to use the smartboard, an interactive white board connected to a computer. It uses touch detection for user input, and a projector is used to display the output on the interactive whiteboard, which then acts as a large touch screen. This allows the students to interact and participate actively in class and also on a global platform, for instance, where they contribute to discussions and online forums with others. The students in that school were exposed to a wide range of information at a very early age. With this kind of technology in the classroom, the world is at one’s fingertips. These students get perspective, they are more empowered and even more proactive as a result of the knowledge they gather using IT. The main challenge in using IT is accessibility. It can lock out the poorer learners who do not have the advantage of attending well-off schools like the one I taught in. The cost of connecting to the Internet is still quite high in rural Africa and even then, the connection may not be very reliable. Additionally, not many people have laptops and devices that are Internet-enabled, although there are some very cheap smartphones now in the market. This is a very interesting topic, and I will be following the e-learning conference in Benin, which ends on 27th May, and finding out more about how schools are using IT in their learning environments.